It apparently took J.D. Salinger 10 years to write his first novel, The Catcher in the Rye. J.K. Rowling spent about 6 years writing and re-writing Harry Potter and the Philosopher’s Stone (I suspect publisher pressure accelerated things thereafter). As an early career researcher, I feel that since graduating from my doctorate and becoming independent, I can be less patient and eager for instant results – a feeling encouraged by social media and continuous metricisation. My own current project, inspiratory muscle training for care home residents at risk of falling, can’t be compared to great achievements like those novels. But it is my ambition to undertake my own research project as principal investigator – and so I intend to savour the experience (i.e. be task oriented), rather than just chasing the outputs (i.e. being outcome oriented). I have learned to value iterative research designs, in that, the initial study’s outcomes inform the subsequent study’s methodology, and so on. However, this method presents its own uncertainties, as the researcher has to relinquish their control over the study. That said, I am beginning to see the need to set regular targets to keep the momentum on a project like this going. Taking my research beyond the controlled ‘safety’ of the physiology laboratory (satisfying internal validity), into a brave new world of the care home setting (satisfying external validity), requires working with research ‘end users’, be it: service managers, staff or residents. I’m finding the process: i) slow, care providers have additional administrative requirements, ii) essential, in laying trusted foundations for a long-term project, and iii) rewarding, by implementing research into the real world and establishing impact from the outset. Since being awarded ACORN funding, my summer has been spent: writing for ethical approval, satisfying HR admin, recruiting care home partners, revising protocols, creating Plan B, writing Plan B ethical approval, piloting testing, revising participant selection criteria, and being trained by my PhD student (a lesson in humility, if nothing else). Even supported by an industrious research assistant this has felt a slow journey, with weekly peaks and troughs. 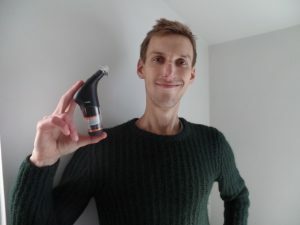 I have even begun an 8 week period of inspiratory muscle training myself, to understand how care home residents can improve, feel challenged, and require further support. This has been equally useful to highlight practicalities – my challenges have been fitting 30 breaths, morning and night, into my daily routine; in contrast care residents’ challenges are likely to relate to effort, guidance, and motivation for training. My initial participant selection criteria excluded all people with: dementia, COPD and respiratory difficulties, and cardiovascular diseases. My journey has presented three worries thus far: i) the funding expenditure deadline, ii) recruiting care homes and, iii) the selection criteria. In academia, the deadlines, targets and metrics are omnipresent, arguably more so since the increase in tuition fees. Following the joy of being awarded research funding, comes the deadlines of expenditure (simple, if it were not for standard processes – ethical clearance, securing HR contracts, recruitment, and piloting) and the deliverables. I’m highly grateful of the ongoing support I receive, however I strongly believe that HE institutions must be realistic when financing projects and staff. Research is a slow process; outcomes cannot always be constrained to exact dates, as much as quality research cannot be established in rushed expenditure. Mostly recently my challenge has been in recruiting care homes, particularly due to my selection criteria. This presents the methodological conflict between internal validity (i.e. 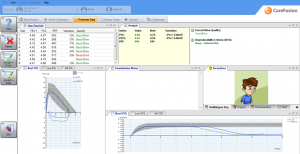 the controlled laboratory) and external validity (i.e. the unpredictable care environment). Should I maintain my exclusion criteria, even though the majority of care home residents have dementia and/or COPD? Or relax the criteria to reflect the real environment and achieve recruitment? The former would make for more publishable data; the latter would support a Research Council funding bid (ah, I nearly forgot…must submit one of those by April 2019). Again, tempus fugit. In this this social media age, time can appear condensed; two days can seem like an age, an afternoon of no replies, an epoch. A study in the 2017 Altmetric Top 100 provides compelling evidence that regular Smartphone use impairs cognitive performance by re-orienting attention. I’ve ‘disconnected’ from using a Smartphone and Facebook; this works for me. Regardless, I still have to exercise discipline in unnecessary email checking and now time-block my diary for: education, research or practice. I seriously recommend, as an academic, experiment on yourself. J.B.S. Haldane was a notable and prolific example of a self-experimenting physiologist. 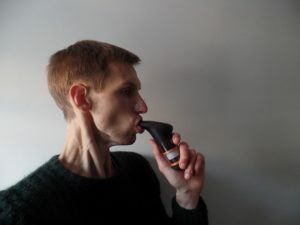 Yet whether it’s inspiratory muscle training or reducing Smartphone use, experiment on yourself – assess how you respond, identify influential variables and intervene if you wish. The simple truth is I don’t have a study finish date. The logic is if I am flexible on time, and put lots of my own effort in, then I will ultimately be able to generate both output and impact. There’s the psychological advantage too: by not having a finish date, I also stop the project becoming ‘work’. Pressures, missed opportunities, worrying others are publishing – these would stop research being fun. Academic success is not proportional to effort alone, however developing partnerships beyond academia is. 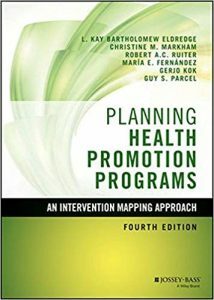 For those of you interested in health education, applied psychology or physical activity promotion, read on. It should be noted that this framework relates mainly to collaborative healthcare projects, involving multidisciplinary team-working with individuals that may include: behavioural scientists, physiologists, Allied health professionals, care home staff and council officials. As a ‘cog in a wheel’ (i.e. physiologist working within healthcare teams), personally Intervention Mapping has influenced my methodological perspective and will inform my long-term research, but will have little impact in the short-term for laboratory-based studies. For the behavioural scientist or applied psychologist interested in health promotion, the course would be a great benefit. For everyone else considering healthcare projects incorporating behaviour change I wholeheartedly recommend. 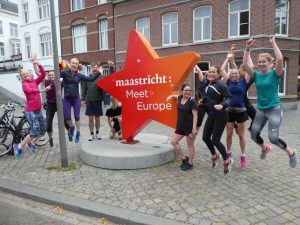 Plus, Maastricht is a cultural and gastronomical delight. If you would like further information on the course and framework, let me know. 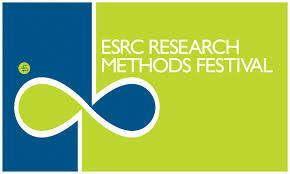 Ten Bournemouth University academics attended the ESRC Research Methods Festival held at the University of Bath, 3-5 July 2018. The 8th biennial meeting attracted around 800 social science researchers at various stages of their careers, from across the range of disciplines and sectors. The festival content spanned seven parallel sessions for the morning, mid-day and afternoon workshops. This brief account is an attendee’s experience of ‘employing learning’ in Research Methods during the festival. The session ‘Meeting the challenges in teaching Research Methods’ (Professor Nind, NCRM, University of Southampton) was an interactive workshop informed by current pedagogical research. In teams we discussed our experiences of the three challenges in Research Methods education, namely: 1. diversity, 2. developing learning and teaching resources, and 3. online teaching. 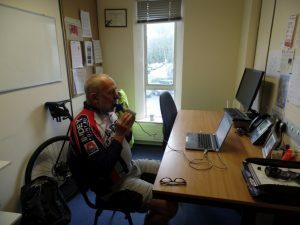 This was followed by ‘Recent advances in rural health survey methodology’ (Dr Haenssgen, University of Oxford), which allowed me to appreciate current use of accelerometry (e.g. Fitbit) in assessing energy expenditure in communities for my current research study. The day concluded with a rapid (downhill) run to Bath town centre, a laborious (uphill) run back, and then a nervous gala dinner served with the England vs. Columbia World Cup nail-biter. ‘Blog like you mean it’ included tips on research communication and impact. The key-points being: make it topical (e.g. informed by current debates, issues or conversations), guide with sub-headings and look out for new policies for ‘research relevance’ (good examples include the Conversation, LSE Impact and Dementia day-to-day blogs). 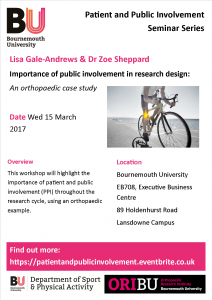 Bournemouth University’s own Dr Tula Brannelly had strong attendance for her workshop: ‘Ethics of care in the research process’, which focussed on building solidarity with end-users in research, and how we can plan/create change in our own research. Regardless of whether you are writing a research proposal, journal paper, teaching handbook or thesis, the session ‘Writing creatively for academia’ made me think of the reader: 1. maintain their interest, 2. engage their emotions, 3. activate memories and, 4. scientifically, keep it evidence-based. These aren’t exclusively applicable to all formats, but can help improve our general written communication and help eradicate bias from our writing. Elsewhere, ‘Innovations in teaching statistics and quantitative methods’ was useful for my own Research Methods teaching in the Department of Sport and Physical Activity. Wednesday evening was more relaxed than the previous, with a guided walk through Bath town centre. Not only did we learn about Bath as a gambling den, yellow front doors, John Wood the elder, but also ex-resident, Nicolas Cage. The final morning involved: ‘Advances in sociogenomics’ (for general interest) and ‘New developments in qualitative evaluation research’ for healthcare research incorporating quantitative and qualitative data evidence. Both were inspiring and relevant, and importantly, led by postgraduates, to practitioners, to professors. Not all conferences/meetings are so inclusive and accessible. Finally, I would like to thank Emily Cieciura and RKEO staff for supporting the strong attendance of BU academics at the Research Methods Festival. Similarly to myself, of those BU colleagues that I met, they felt equally as enthused and intellectually-overwhelmed…alas, in an academic, inspired way. Accompanied by…Aaron Yankholmes, Miguel Moital, Jae Yeon Choe, Michael O’Reagan (FM), Agata Wezyk (SciTech), and presenter Tula Brannelly (FHSS). Saturday 9th June, 17.00. Standing at Platform 1 in Southampton Central station waiting for the 16.30 to Heathrow Airport. 17.10. Begin to panic and call the UK co-ordinator. 17.28. Begin to panic and call my wife. Taxi number on stand-by. 17.29. My train arrives. Otherwise known as ‘breaking down international barriers’. It is important that as you group-work, particularly with new partners, you listen to what they have to say, their perspectives, and adopt an open-mind. Consider their priorities, current research commitments and their personality. It is a skill in itself to recognise and motivate different individual personalities towards a common goal. But also respect that your colleagues will have other work (and life) commitments outside the project. My group comprised a: physiologist, geriatrician, physiotherapist and clinician. Our topic: healthcare in frailty. On larger multidisciplinary projects, put aside your specific research interests and focus on identifying a worthy research question. This will allow you to build the project on current knowledge and challenge a ‘real world’ problem worth answering. ‘The whole is greater than the sum of its parts’. Keep in mind, there will always be ample opportunity for you to flex your specific technical abilities in a project; there may be a sub-study, a related side-study or an opening up of subsequent opportunities. As always some of the most impactful and lasting partnerships are built after hours. Class-based activities lay foundations in knowledge; group work builds relationships; socialising (or networking) develops understanding and empathy. I’m no socialite, but be present, listen and give your potential partners your undivided attention. Not only is this crucial when building partnerships, but also professionally good etiquette. This may seem difficult with other deadlines/priorities looming, but DO NOT get out your phone/laptop/mobile device in social situations. This shows disinterest and poor manners. …and be patient. ‘He who knows only his side of the case, knows little’ (John Stuart Mill). Appreciate the workload demands of others; by the time Monday comes you will all have a fresh list of priorities. For collaborations beyond your institution think what platforms you can use to keep momentum. For example: Dropbox, webinars, educational partnerships and/or Skype meetings. Also use collaboration-working as an excuse to write travel grant proposals. Keeping things moving is a must, I think. Commit and schedule time into your diary, as you would for your teaching. Similar to research writing, if you do not prioritise the time, it will quickly be filled with other duties. Our group created a Dropbox folder (containing a new systematic review on our project idea), circulated a Doodle poll, and then arranged for a follow-up Skype call to share our independent reviews and discuss funding opportunities. Relationships are always more important than the project; there will be many opportunities for projects, not always for trusted and like minded research partners. Oh, and understand that each member has the right to withdraw from the group at any point. Our group began the week with seven, and by Friday’s Dragon Den presentation we had four (looking glamorous below). Oh well. It’s now one week since I returned, and keeping momentum with the FIBULA project (a.k.a. ‘Frailty in the Brazil and the UK: Learning across Borders’) I have arranged to visit my UK partner and senior researchers at the University of Nottingham in July-August to begin a scoping review. 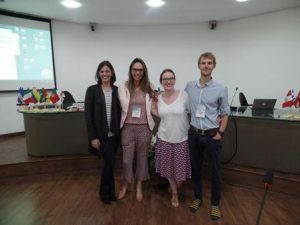 Later in Autumn, through RKEO Acorn funding I will host our other group partner(s) from the University of Sao Paulo at BU to conduct a systematic review and develop our partnership, and proposal further. These suggestions are based merely on a research neophyte’s experiences in exercise physiology, partnering with the healthcare sciences. Although I impart advice, for everything I have discussed, I am still striving to master these skills. After all, the research process is learning from knowledge of what came before and evaluation of what we find out. The morning focussed on updates on ethics regulatory procedures, the EU (see link below for slides) and changes in the Data Protection Act (but not the law of confidentiality) that have implications beyond healthcare research. There is also movement for a Public Involvement in Ethical Review (PIER) service, as well as adopting ‘e-consent’ for participation in health research. The afternoon focussed on the REWARD Alliance and how ethics committees (and researchers) can help reduce waste in research. This group was established to promote a series of articles on research published in early 2014 in The Lancet. 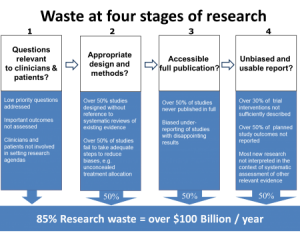 Figure: Stages of waste in producing and reporting of research evidence (Chalmers & Glasziou, The Lancet 2009). As a researcher and ethical reviewer, the day was insightful, interesting and relevant. Knowledge of the REWARD Alliance, particularly how researchers should diligently plan and prepare projects with clear pathways to dissemination. Although publishing demands differ between academia and industry (including pharmaceutical companies), all research should be designed fom the outset with clear outputs to communicate the findings. If you would like further information from the day, send me an email. 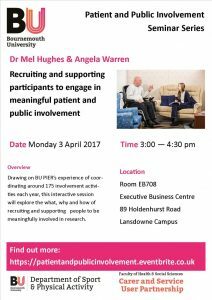 Drawing on BU PIER’s experience of coordinating around 175 involvement activities each year, this interactive session will explore the what, why and how of recruiting and supporting people to be meaningfully involved in research. When first applying to become an URA, I was unsure about what to expect. Initially, I thought my summer would be spent holding a clipboard and collecting endless lists of data for someone else to analyse. In reality, the role has been much more exciting than I could have imagined, even prompting me to investigate future careers within research. The research I am assisting with aims to examine the most effective acute recovery routine for individuals who have undergone hip arthroplasty, a reconstructive procedure which involves the replacement of the femoral head and acetabulum with an artificial prosthesis. I felt immediately welcomed by James Gavin (Lead Researcher) and the Orthopaedic Research Institute (ORI) team: Tom Wainwright, (Deputy Head), Tikki Immins (Research Fellow) Shay Bahadori (Medical Device Engineer), in my URA role. 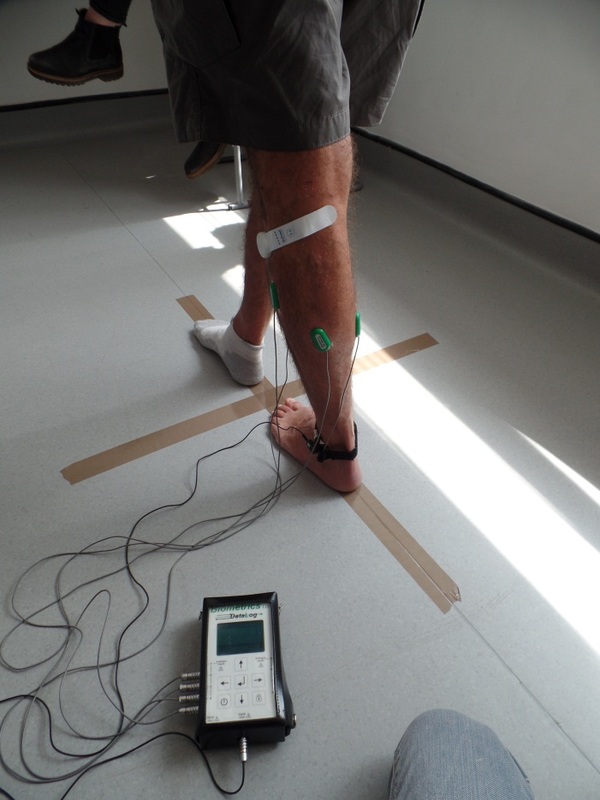 Data collection: anthropometric, handgrip strength, walk speed, muscle activity and isometric strength. Attending the Research and Impact in Active Ageing Symposia (University of Cumbria) proved to be a valuable experience for me as both a student, and as a researcher. The morning began with a talk from Prof Tim Donovan, who covered the role of vision and eye movement in motor control. This was followed by Prof Giuseppe de Vito (University College Dublin), focussing on how old muscle responds to training and nutritional interventions. Finally, Prof Andrea Macaluso (University of Rome Foro Italico) discussed his work on physical activity levels and physiological factors underlying mobility in ageing. The morning was followed by a poster presentation session, where I presented the findings of my dissertation project. My dissertation entitled, ‘The Incidence of Injuries and the Epidemiology of Osteoarthritis in Retired, Amateur, Rugby Union Males’ was a project I thoroughly enjoyed and despite being incredibly nervous, I really liked sharing it with others. 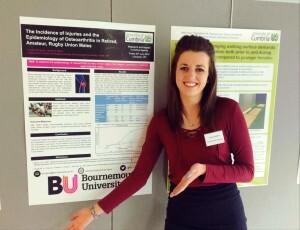 I presented my work to other students, academics, researchers, and members of the NHS. The feedback I received during the question and answer session after my presentation was positive, with ideas how the research could be expanded in the future. Having the opportunity to take part within the symposia increased my confidence within my own research, improved my presentation skills and developed my knowledge of research in active ageing. I even won the prize for best poster presentation, a £100 Human Kinetics book voucher! I’m not even half way through my time as a URA, but I would still highly recommend other students to apply for similar positions at Bournemouth University. 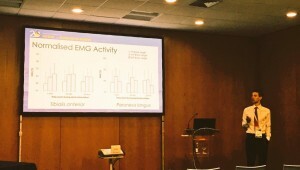 Last week I attended the 20th European Congress of Physical and Rehabilitation Medicine (ESPRM) in Estoril, which covered topics from functional gait analysis-to-household ergonomics. By the morning coffee break of day one, it came back to me that engaging in a conference is an art-form. In this brief report I hope to share some tips, based on my own experiences in academia. Beforehand, workload-dependent, leave all mobile technologies and laptops in your room. Emails can wait until the day’s end and social media will only serve to distract (Quentin Tarantino bans mobile phones from his film sets, so there). Firstly, register early and familiarize yourself with the layout of the conference centre. Stop for a coffee; premium-grade typically dispensed by the sponsor’s kiosk. Secondly, take the time to read the programme, and map your ‘conference schedule’ (i.e., what sessions you intend to attend). Breakfast presents a fine opportunity for planning, on a day-by-day basis. Schedule planning is important for larger meetings, which can deliver many parallel sessions. Attend a conference with an aim(s). 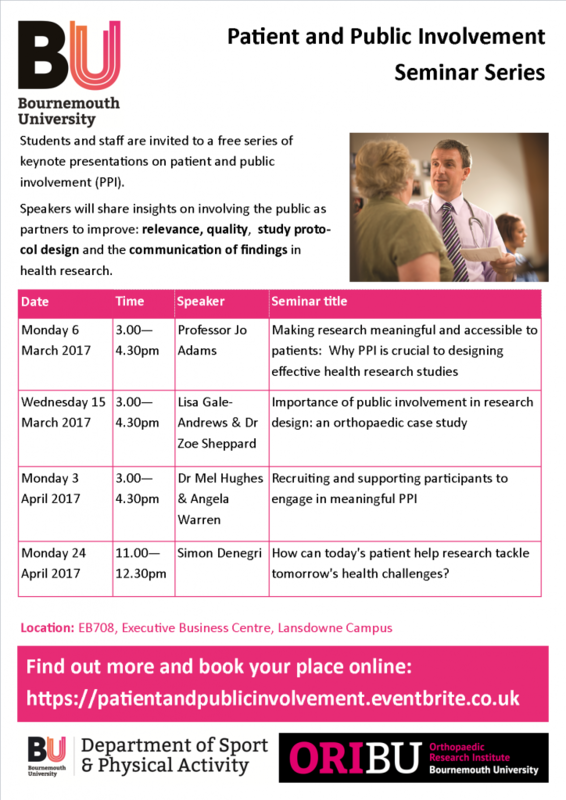 Be strategic; balance topics specific to, and outside your research area. For example, I attended i) functional mobility in older adults (subject-specific), ii) Cochrane Review/PGR development (non-specific, CPD), iii) cognitive dual-tasking (semi-specific, interest), and iv) Nordic walking (personal interest) sessions. Specialist workshops, such as ECR sessions, are gold-dust as you gain insight from international perspectives and practices. I also recommend not studiously attending every single session; I did this in my first conference and burnt out post-coffee break on day two. Don’t feel guilty missing a session if you feel it holds no relevance to you (or your personal development), otherwise you risk losing concentration on the sessions you are interested in. Stop for a coffee. Thirdly, relax, enjoy yourself and don’t be afraid to talk. 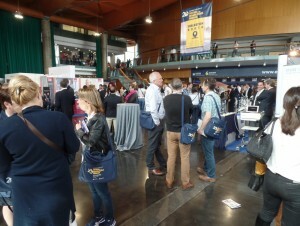 You can often learn more (and establish links) during coffee breaks, than in the sessions. Yes, you are at work, and yes, you may be abroad, but don’t fall into wi-fi hunting. Ultimately, you will check, and respond to, emails. You can do this back home. 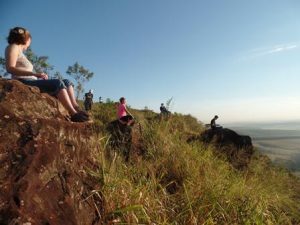 Engage with the academic and local cultures. Remember wi-fi may be omnipresent, but it wasn’t until about 6 years ago. Finally, ask constructive questions. If presenting, welcome questions as they reflect an interested audience, and may highlight areas that you haven’t yet considered. Do not view negative/antagonistic questions as a challenge, they may not agree with your perspective and/or may have misinterpreted you. Data rigour and quality control are imperative, but findings may be serendipitous. If you can master these, please tell me how, as I’m still learning. 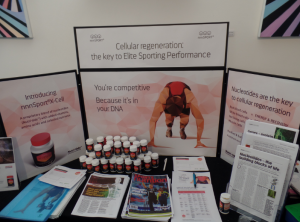 James Gavin, Lecturer in Exercise Physiology, attended Sports Nutrition Live 2016 on Saturday, which was aimed at sports nutritionists, nutritional therapists, and personal trainers. The day began with a talk on Functional Sports Nutrition, emphasising that we should consider agriculture when thinking about nutrition (i.e., ‘soil to the plate’). Particularly, quality before quantity. Not the author’s area of expertise, this seemed a positive start to a conference in a discipline often shrouded by conflicting evidence and, dare I say it, pseudoscience (or conclusions beyond the evidence). Next the audience digested Gastrointestinal (GI) Complaints and Exercise by Dr Justin Roberts (Anglia Ruskin University). Tips from this insightful talk: 1) GI complaints most prevalent in cycling (cramped position), 2) avoid eating just prior to above-moderate intensity exercise, and 3) keep hydrated. Taking these suggestions additively: do not cycle home from the pub! Before lunch, the session focused on how many of us are (apparently) ‘nucleotide-deficient’ (important for DNA production). However, the Dr Koeppel forgot to mention the functional consequences of a nucleotide-deficiency. Interestingly, and questionably, results derived from: IBS sufferers, mice and…Atlantic salmon. 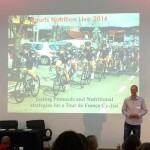 Moving on, after lunch we were treated to an delightful session on Nutritional Strategies for Tour de France Cyclists by former professional rider, Eifion Weinzweig. 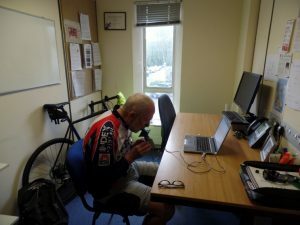 Most interesting was the use of DNA Profiling, and the physiological and psychological demands placed upon professional cyclists. Oh, and you have to drink a lot of water cheat EPO testing! Next up was Dr Graeme Close (Liverpool John Moores University) discussing: Are Carbohydrates Still King When It Comes to Performance. 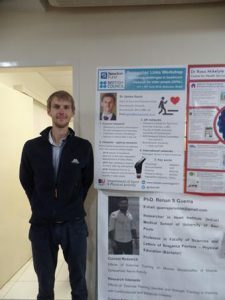 Drawing upon Graeme’s applied experiences in professional rugby, and underpinned by classical studies in physiology, discussion focused upon: the role of carbohydrates in cell signaling, the joys of muscle biopsying, and the importance of carbohydrate for endurance and team-sport performance. All told, a really interesting one-day conference, drawing together speakers from varied backgrounds and industries…and gladly I say it, no pseudoscience. Well, maybe a little. Yesterday I attended an ERC Starting Grants session at the London School of Economics. Although I may never reach the heady, research heights of submitting a proposal to the prestigious, ERC Starting Grants Call (let alone progressing past Step 1, with 9% success rate! ), the workshop provided a range of advice equally applicable to preparing: i) funding proposals and, ii) job applications. From the background search to the interview presentation, in many ways job applications are similar to research funding applications. Firstly, the background search: if possible, find out who has recently received funding in your field. If applying for a position, identify previous successful candidates. What skills and experience did they have? Appreciating these will allow you write your application accounting for your own capabilities, whilst also identifying how the project or position can further your professional and personal development. Awareness of how the project/position can create opportunities to turn your weaknesses, to strengths, is an important advantage at the interview stage. Next, what are the priorities of the funder, company or institution? Does your CV fit the job roles and responsibilities? Does your project proposal satisfy the call? Secondly, the writing: be ambitious, but avoid sounding unrealistic. Adhere to the application criteria and submission guidelines (even font-size, line-spacing, etc). Provide evidence of how your project is innovative, what makes you stand out, or what specific skills you can contribute. These should relate to the criteria of the position advert or the research call. Preparation is key; start writing as soon as possible, and expect multiple drafts. Build your proposal (or Personal Statement) logically, based on your previous research (or experiences and skills). Make the application a pleasure to read, but stick to the specific guidelines. If preparing a research proposal, use data and graphs; if preparing a Personal Statement, tell a story expanding on your CV. Ask friends and/or colleagues for comments on your application – informal peer-review in preparation for formal peer-review (the same applies when practicing your interview presentation). Importantly you want to convince those outside of your field how you (or your study) can provide a long-lasting difference. If you are invited to interview, do your research, again. What are the values of the funder, institution or company? Who is on the panel? What is their background? Next, structure a convincing presentation aligned to your application; support each claim with an example, but be succinct and to-the-point. Maintain focus and momentum, but communicate your enthusiasm. Once finished, expect a range of technical and non-technical questions. Ultimately, interview questions will relate to the application criteria, and range from your subject-specific knowledge to transferable skills (i.e., project management skills). Finally, use questions as an excuse to show your audience what you know; view your ‘weaknesses’ as opportunities. If successful, celebrate; if unsuccessful, view as an opportunity. As the ERC Officer mentioned ‘many successful applications come from investigators who were unsuccessful with a previous application and subsequently improved their submission’. So regardless as to whether you are an undergraduate looking to secure a placement/ postgraduate position, or a Senior Lecturer applying for research funding, translate what you have learnt from previous writing experiences to the opportunities presenting you here and now. 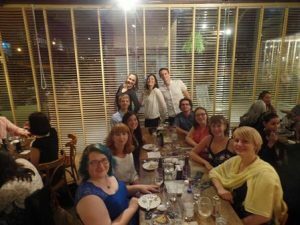 An Early-Career Academic’s Experiences: How Grants Academy supported me to supervise an Undergraduate Research Assistant? Earlier this year I had the opportunity to enrol on the Grants Academy, working to develop a draft proposal for what would be my first research study at BU. Having been taught the art of ‘craftsmanship’, ‘free writing’, and then developing the proposal(s) over time, allowed me to reflect upon and begin realising my research idea. This led to a cross-faculty research partnership and a Grants Academy Small Grant award, to fund a preliminary study to determine whether leg position influences the effects of an electrostimulation device used to prevent deep-vein thrombosis. 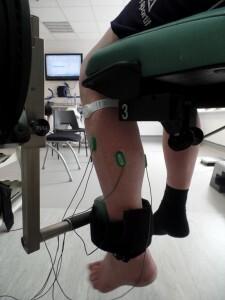 The pilot study aimed to monitor leg muscle activity and balance ability in healthy, older adults, to provide a foundation for the future study focusing on post-operative, older adults. Not only did the Grants Academy develop my proposal writing skills and an understanding of research funding acquisition, but also supported me to establish my research profile at BU. Shortly after the internal-award, I applied for the Undergraduate Research Assistant (URA) scheme, which would allow me to supervise a student for six weeks during the research study. The project was successful in supporting a URA, who sadly finished earlier this month. Once a URA myself (albeit at Manchester Metropolitan University), I felt was it important to involve the assistant throughout the research process, including: protocol design, recruitment, laboratory testing, as well as data collection, archiving and early analysis. The URA proved to be mature, diligent and self-motivated, and also a great laboratory partner. After an induction week, she quickly familiarised herself with the lab equipment and was soon able to contribute to refining the study protocol. Partly due to her enthusiasm, partly due to Grants Academy funding, the URA worked hard: achieving NHS Good Clinical Practice training, co-presenting findings at Festival of Learning (Research Reflections event) and co-authoring the study protocol for Clinical Trial Register recognition. 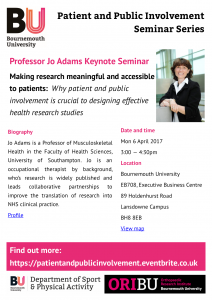 She also worked closely with academics from the Faculty of Management, and Faculty of Health and Social Care. Based on the URA’s performance and commitment, my co-investigator and I have invited her to continue working on the project to disseminate the study findings (with conference abstracts and two articles in preparation). Early data suggests healthy, older adults benefit more from electrostimulation with the leg bent (seated position), than having the leg straight (typical hospital-administered, lying position). 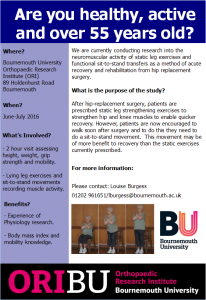 These findings will provide the basis for the future study examining the impact of leg position in clinical patients recovering from surgery. So thanks to Grants Academy, BU and my URA, I’ve been able to establish a sustainable, cross-faculty research plan that will promote co-creation and co-production with students, end-users and research partners into the future. Regardless of where you are in your career, Grants Academy and the URA Scheme offer boundless opportunities for professional and personal development – much recommended!